Hello, my name is Abdelkader and I am a student at the Twin English School in London. I have been here now for a few months, and I have really enjoyed it, including the activities organised by Twin. 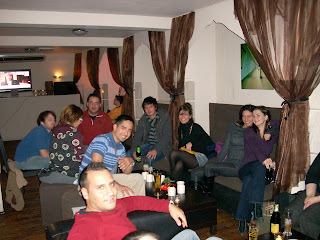 Last week we went to the Fuse Bar and it was a fantastic evening. I was able to get to know many of the guys in my class and spent the night speaking with them. I believe the bar idea was a very good one because it gave students the chance to practise their English and we could get to know each other more. Yes! It was a fantastic evening... we all had a lot of fun!